Programmed trainee Kimberly Brewster recently took home one of the top prizes at the 2018 Australian Training Awards, winning Trainee of the Year. Kimberly’s determination has seen her complete a Certificate III in Business Administration with her host employer ConocoPhillips and she is now rising through the ranks currently completing a Certificate IV. Kimberly’s story is one of resilience and she is keen to share it in the hopes of encouraging other young people, especially women, to consider traineeships as a pathway to kick-start their careers in their chosen fields. We chatted with Kimberly about what drew her to completing a traineeship and her plans for the future. After completing year 12, I was 37 weeks pregnant so I had to put my career goals on hold. Having two children under the age of 19 with minimal support was very tough. I worked in retail, hospitality and in a pharmacy, and slowly built up my skill set. However, I came to realise that to advance in your career, qualifications are the key. The only thing that was stopping me was the financial difficulties, which is why a traineeship fit me so well. I had found an ad in the local newspaper, the NT News of all places, and decided to give it a go. I have been with ConocoPhillips (my host employer) and Programmed for 24 months. This opportunity has helped me both professionally and personally. I spent most of my time as a trainee on site at the Darwin LNG facility and was exposed to a substantial amount of safety and operations. I organised and scribed meetings, assisted all departments, general administration tasks and was an active Behavioural Safety Program committee member. I was also involved in the scheduled shutdown period on site, which only occurs every four years. My direct supervisor was seconded to the shutdown team and management trusted me to be the sole administrator throughout that period. This is where I was able to showcase my abilities. What are some of your key highlights from your traineeship? Starting off, I had never worked with a large company or in business before. I found that everything I did, from filing to organising meetings, was a learning opportunity. Key highlights of my learning journey would be that I joined a Behavioural Safety Program committee and that helped build my leadership skills. I was able to take on some ownership through this program and help reinvigorate a 12 year old safety program. I was involved with recreating templates, organisation of committee meetings, included in safety discussions and barrier removals, and being one of the day shift members that helped cascade communication across four shifts. The path forward for me is to keep on studying. Next year I have decided to study a Diploma in Business, with a few HR focused units. 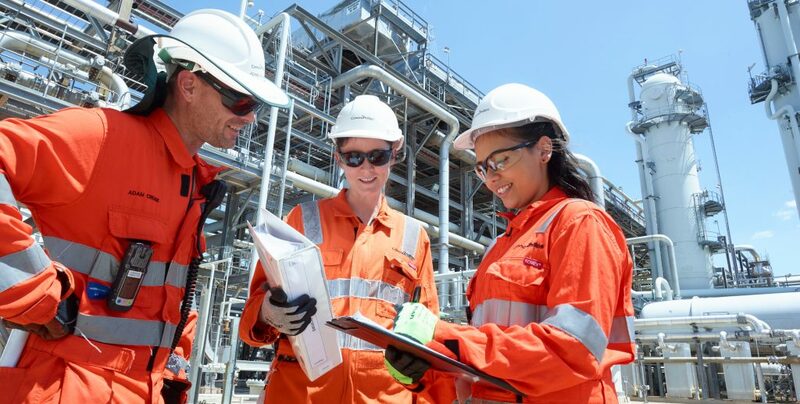 I’d like to stay with ConocoPhillips and continue to bring integrity and diversity to the workplace. Being an administrator has helped build my fundamental skills in business, however, a career goal of mine would be to become a part of a team in a specialised field, either in HR or within projects. A personal goal is to have purchased my first home with my partner in the year 2020. What advice would you give to people, especially young women, looking to start their careers and are not sure where to start? To discover the world of Vocational Education and Training and endeavour to find the traineeship that will suit your career goals. A traineeship gives you the best of both worlds: a kick start for your career and a nationally recognised qualification.